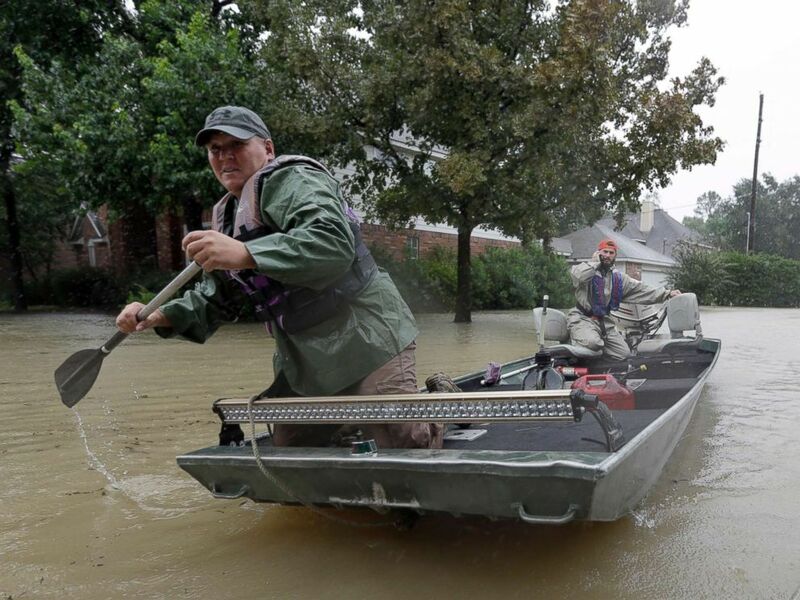 As the full scope of Hurricane Harvey's devastation continues to come into focus, a group of volunteer rescue crews, who call themselves the "Cajun Navy," has risen to the occasion, responding to calls for help from victims of the unprecedented flooding in southeastern Texas. The Cajun Navy refers to the network of volunteers with their own boats who have convened in Houston, Texas, to assist in the rescue efforts. The group of good Samaritans are also using technology -- including Facebook and the app Zello -- to find and rescue those desperately in need of help. One volunteer rescuer with the Cajun Navy, identified only by his first name, Brandon, told local ABC Houston station KTRK-TV that he came from Hammond, Louisiana, in order to assist with the rescue efforts, adding that he hopes to "give back." "Because Louisiana has always had its fair share of hurricanes and everybody has always showed up for us, so it’s time to give back," Brandon said. "The Cajun Navy, they pretty much step up and make it happen," he added, saying that they prioritize rescuing elderly people and children, "and then whoever else hollers they need a ride." Volunteer rescue boats make their way into a flooded subdivision to rescue stranded residents as floodwaters from Tropical Storm Harvey rise, Aug. 28, 2017, in Spring, Texas. 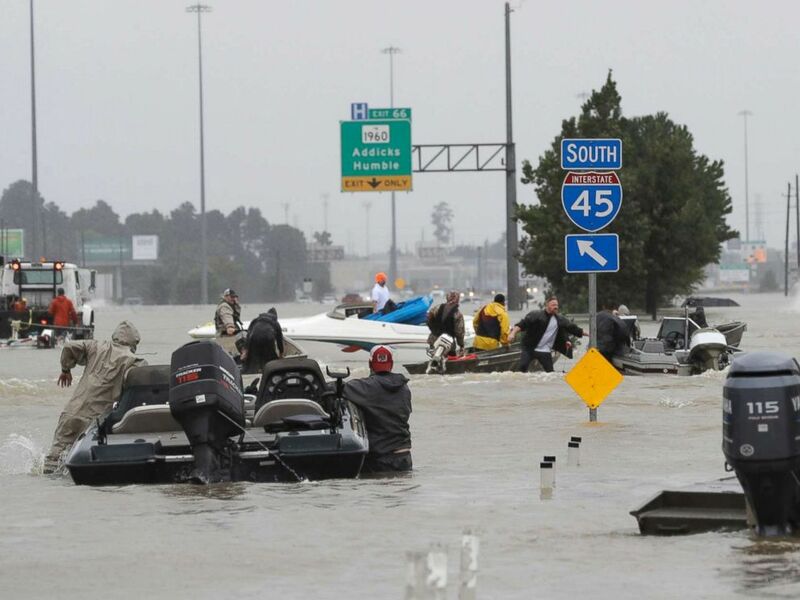 Joe Martinez, another citizen rescuer and member of the Cajun Navy, told KTRK that he came from Lafayette, Louisiana, "with a group of 10 boats ... and everybody went and tried to save some people." "We have meteorologists," Martinez added. "And everybody is volunteer, they dispatch, calls come in, people find it on Facebook, whatever, they post a call, they just get the information out." 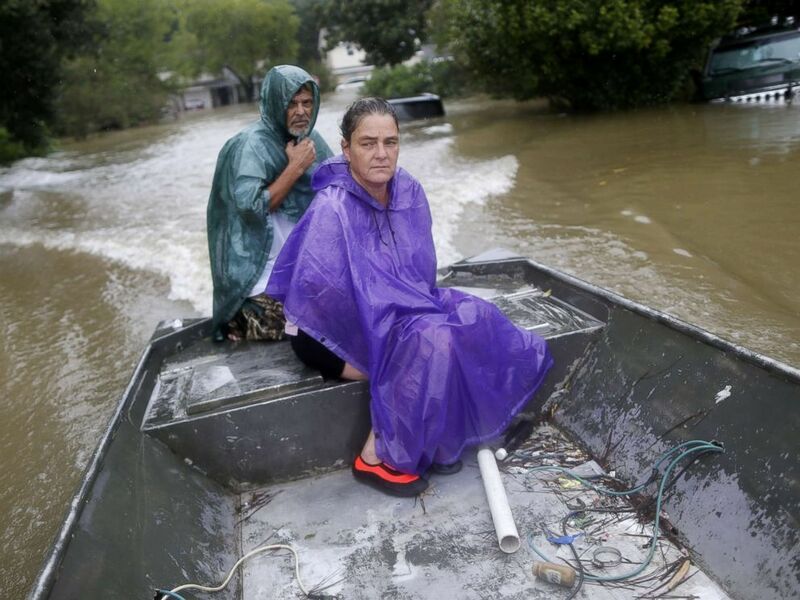 Volunteers use their boat to help evacuate residents as floodwaters from Tropical Storm Harvey rise Monday, Aug. 28, 2017, in Spring, Texas. "There's thousands of volunteers ... coming this way to help out," Martinez added. Iashia Nelson, a Houston resident whose desperate plea for help on "Good Morning America" today went viral, told ABC News that her son was rescued from the flooding by the Cajun Navy, after her 911 calls for help that she made throughout the night were not answered. 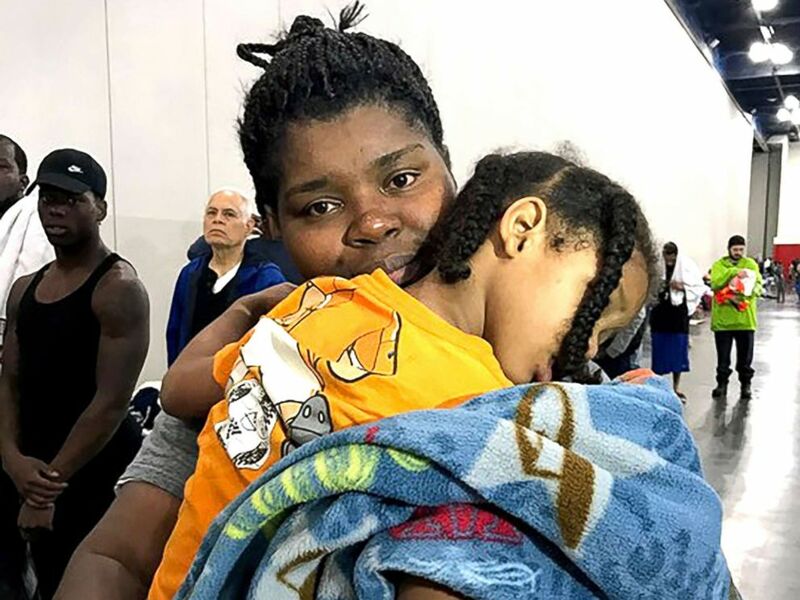 Nelson was later rescued herself and eventually reunited with her son today at the George R. Brown Convention Center in downtown Houston. Iashia Nelson embraces her son after they were rescued from the rooftop of a downtown Houston apartment building where they were stranded following Hurricane Harvey. The Cajun Navy has previously mobilized to aid in the rescue efforts during the historic flooding in Louisiana that took place last year, and KTRK reports that they track their beginnings back to when Hurricane Katrina devastated Louisiana in 2005. Curtis and Michelle Bertrand look for residents to rescue from the flood waters of Tropical Storm Harvey in Beaumont Place, Texas, on Aug. 28, 2017.